Invite your friends and family to jump with you or just help us spread the word about our charity skydives. The more people we get to jump the more money we raise for League Against Cruel Sports. 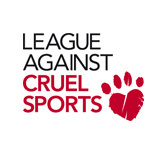 League Against Cruel Sports is a registered charity that brings together people who care about animals. Like the majority of the public, we believe that cruelty to animals in the name if sport has no place in modern society. We were established in 1924 and are unique because we focus on cruelty to animals for sport. We were started by a group of people who felt strongly that cruelty inflicted in the name of sport was barbaric and upsetting, and who wanted to be a force for change. 1) Expose the barbaric nature of cruel sports and the people involved, identifying what action should be taken. 2) Raise awareness and campaign for change by lobbying government, politicians and businesses. 3) We help people whose lives are being detrimentally affected by cruel sports and associated wildlife crime. 4) Hold sanctuary land in heavily hunted areas to frustrate the perpetrators of cruelty and help protect animals who seek refuge on our land. We are constantly fighting the perpetrators of cruelty and we need continuing funds in order for us to be able to do so.